Drag the green point to appropriate position to measure the diameter of the circle. What is its diameter? Drag the red point P to straighten the circumference. 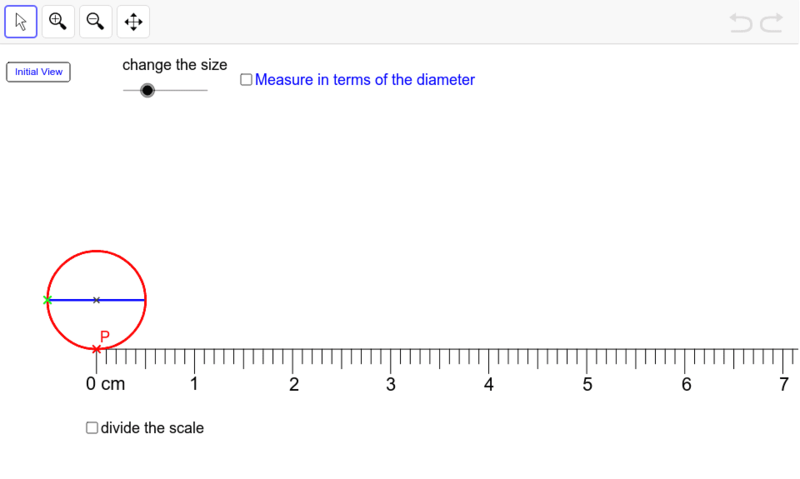 Divide the scale of the ruler to measure its length to two decimal places. Use the Zoom In, Zoom Out and Move tools if necessary. Change the diameter of the circle to 2 cm, 3cm, or any other diameters. The circumference is always longer than the diameter by how many times?